What's Included When You Come to China to Learn Chinese with Go Abroad China? Thousands of students have chosen Go Abroad China when they come to China to learn Chinese. Why? At Go Abroad China we do the best we can to ensure you get value for money and that you have a fantastic experience learning Chinese in China - from the start of your application through to going home. We are here to look after you around the clock and make sure you are happy, safe and comfortable. We aim to give you the best value for money, with many extras included in our standard program price. We are well-known for making sure our students have a fulfilling experience in China, comfortable, safe, and have the opportunity to immerse themselves in the Chinese culture. You’ll receive transfers, certificates and, where relevant, credits towards your university degree. Your typical day will include up to six hours of Chinese classes and up to two hours of homework. You’ll also have out-of-school activities like tours to historic sites, social or cultural activities and field trips. Read more about Daily Life in China. What’s Included in a GAC Language Program? Chinese language classes are the primary focus of our China immersion program. Our programs have been developed to help you learn as fast and effectively as possible, so by the time you leave, you’ve improved your proficiency and can carry out a simple conversation in Chinese, and have a sound understanding of the Chinese culture. The course usually includes 20 hours of language classes each week and cover the intricacies of speaking, writing and reading. All Go Abroad China Language and Internship programs include the courses, textbooks, and electives chosen with no out of pocket study expenses. With over 800 partner companies, including fortune 500 companies, to choose from, we rarely cannot find an internship for our applicants. If we can’t find a placement you like, we’ll refund your deposit. We will help you find full time or part-time placements. 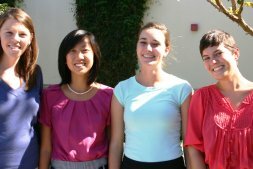 We can guarantee paid internships if you stay for longer than a period of four weeks. Your stipend can help cover the daily costs of living in China such as your groceries, social activities (those you organize in addition to included activities) and more. We offer three different housing accommodation options. The accommodation fee is already included in the program cost and is guaranteed for the duration of the student’s stay in China. To ensure that students and parents understand how the program works, what they can expect, so you understand the rules, regulations, city hazards, school rules and receive a cultural briefing, we organize orientation sessions. A parent session is available prior to students departing, while students take part in a group orientation once they arrive in China. Students will also be supplied with a welcome pack with necessary information and goodies they need for their stay. Interactive workshops, group seminars, and discussions are included in the package. These workshops and seminars have been developed to help our participants get well-acquainted life in China, things to expect, components of Chinese culture such as music, art, shows or performances, traditional food, calligraphy, Tai Chi and more. We understand your concern for your safety while in China and we take this very seriously. Our team have many years’ experience in working with and supporting you. Safety and security form part of our policies and we provide full support throughout the program (24/7); including travel and living arrangements, visa documentation, pre-departure guide, airport transfers, orientation, study materials, familiarizing you with your university or language school and surroundings, and bilingual program coordinators. After you’ve successfully applied for a place in one of our programs, you’ll need to organize your visa for China. All visitors coming to China, whether they’re coming for a holiday, to work or to study, require a visa to enter and stay in the country. It is your responsibility to apply and pay for your Chinese Visa. Visa applications are made in your country of residence. Our programs include visa advice and assistance to help you apply for the right visa. Our team is experienced in helping applicants apply for their visa, and we stay abreast of any new changes to the visa process so we can better support you. Our team can ensure you have the right documents to apply for a Chinese Visa in your country. Drawing on its communist roots, China’s business community places great importance on the equal contribution of society to help it succeed. In China, who you know critical to your success. To ensure you are equipped to succeed while you are in China, Go Abroad China arranges for you to take part in a range of social, business networking and seminar events and activities. Become one of the more than 4000 students, past and present, who have taken part in a GAC Program. You won’t leave China empty-handed. Not only will you gain confidence and learn a new language, but you’ll also take the credits and certificate for your hard work home with you. Whether you just have a few hours to spare, or have come to China to explore or work, Go Abroad China can help you create the Chinese learning experience you want. With a range of choices available, from the level of language proficiency through to when you are available to study, GAC will tailor a package perfect for you. Chinese classes are usually separated into three main categories: Beginner, Intermediate and Advanced levels. 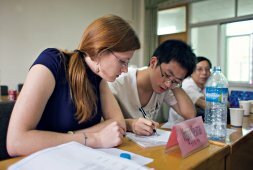 Within in these groups, for example, the beginner level might be broken down into two further subgroups: an absolute beginner group for those who’ve never been exposed to Chinese before and a higher beginner group for those who’ve previously learned some basic Chinese but who are still not confident enough to speak Chinese. Our students all get placed in the classes that suit their level for the best results. Your learning experience can be tailored to helping you with Business Chinese, day-to-day Chinese or preparing you for HSK test examinations. Before you start, we’ll assess your proficiency in Mandarin so we can ensure you get the right level of teaching for your ability. There are generally three levels of study. However, these are flexible depending on your skill level and goals and contain many sub-levels. For students who haven’t started learning Mandarin yet, or have just started learning. The Basic Chinese level will help familiarize you with the basic Mandarin language. You will learn basic pronunciations, tones, and rules and start gaining a vocabulary of Chinese words. You’ll learn enough to be able to hold basic conversations in Mandarin to hold short conversations and express yourself in day-to-day or business situations. You’ll also learn some simple Chinese characters and some Chinese culture. For students who already have a basic grasp of Mandarin. The intermediate Chinese class level is for those who would like to advance their Mandarin proficiency, so they are better at reading Chinese, speaking Chinese and writing Chinese. In this level, you improve your ability to differentiate between the four tones, further review Mandarin phonetic symbols and characters and examine basic sentence structures with regard to application and appropriate use. You will expand on your sentence structures and enlarge your vocabulary, further improving your ability to easily participate in short conversations at work or taking part in daily activities. For people who have intermediate proficiency in Mandarin, but want to advance their skills, especially for business use. In the advanced level, you will improve your comprehensive through improved listening, reading, writing and oral skills. You will add idiomatic expressions, complex sentence structures, complex language patterns and topic-specific vocabulary to your repertoire. Your language proficiency will become more sophisticated, enabling you to communicate in-depth on a wide range of business and social topics and express your opinions. The HSK, known as “Hanyu Shuiping Kaoshi” in Chinese, is the standard Chinese Language Proficiency Test for non-native Chinese speakers, such as foreigners and overseas Chinese. The main objective of the HSK is to evaluate the level of standard Mandarin that one has learned. For professionals who already have a sound knowledge of Mandarin, but who’d like to enhance their proficiency in Mandarin specifically for business settings, or who are looking for a curriculum based on business Mandarin. In this class, your language course material is customized to your business goals, enabling you to be able to use Mandarin for your business area, including specialized vocabulary. The Chinese lessons are designed for business people within any industry who need Chinese for work. Lessons could include, for example, vocabulary for meetings, negotiations, and presentations, legal vocabulary, financial vocabulary or Mandarin for business correspondence. Go Abroad China has a variety of housing options to suit every individual who has selected any of our China study abroad programs. Our best and most popular options include: homestay with a Chinese family, a shared apartment and private apartment. Accommodation is guaranteed based on the duration of your stay in China, and if you wish to extend your period, we can help you arrange longer-term accommodation with a bit of price adjustment. Please note that the housing fee will depend on the type of accommdation you have selected, as well as the length of your stay. Many foreign students have wondered 'how much does it cost to live in China?' Well, if you are one of those people, then a homestay accommodation offers great value for your money! This type of housing is about living with a Chinese host family in their home; it is especially beneficial to those enrolled in the study abroad China programs. Our selected Chinese host families are thoroughly selected; we make sure that they are friendly, they have a good and reliable background, and that they are ready to receive an international visitor. Our participants will have their own bedroom and furniture: bed, desk & chair, closet/wardrobe, etc. They will have access to the apartment's amenities such as 24-hour water heater, western style toilet, washing machine, television, wifi, air conditioner, etc. At Go Abroad China, we always strive to meet the needs of our clients who study abroad in China, those doing internships and the volunteers to ensure that they are comfortable. Many of our study abroad participants in most cases have shown that they prefer the shared apartment housing type. A shared apartment gives you the opportunity to live with a young Chinese professional. Selecting a shared apartment as your housing option is most suitable for applicants who like to be in a more silent environment with few people around. With a shared apartment our participants will have their own private bedroom and will share the living room, kitchen and bathroom with a flatmate. The apartment is fully furnished and has all the basic amenities one might need. * We will ask deposit when you move in our apartment. The deposit will be about 1 month's rent and returned at the end of your stay in China, unless you have caused damage in the apartment. The private apartment option is more suitable for individuals who prefer to have absolute privacy. Again, if you choose this option, we will choose an apartment that is conveniently located. We will make sure your apartment is near your work area and also close to a bus or a metro station. Our private apartments are usually spacious and include: a bedroom, a living room, a dining area, a bathroom and a kitchen. The apartments that Go Abroad China choose are already all furnished. We make sure that the apartment you will live in has: a washing machine, a television, wifi, 24-hour water heater (hot & cold), air conditioner, etc. Please be advised that the monthly bills for gas, electricity and water (approximately US $30 per month) are not included in the program fee. The participant will have to pay its monthly bills. * We also ask deposit when you move in our apartment. The deposit will be equal a month's rent fee and returned at the end of your stay in China, unless you have caused damage in the apartment. Dinner get together, learn about Chinese food with usually an impressive menu of traditional cuisine. We know that some Chinese food tastes more authentic on the Mainland. Shopping trips to Silk Market, Antique Markets and other local places. Attend shows/performances like Peking Opera or Chinese Acrobats. Visit traditional teahouses and learn about Chinese tea ceremonies. Visit the art district and exhibitions and view interesting art pieces both from Chinese and international artists. Lounge bars, karaoke and birthday parties should any of our clients have a birthday to celebrate. Our program applicants can take part in Chinese language elective classes, Go Abroad China provides arts and cultural options such as Chinese Calligraphy, Painting, Taiji Quan (a slow paced form of exercise that is traditionally known to lower stress and improve concentration) Martial Arts, Chinese cooking, traditional handicrafts, etc. All these choices have proven quite popular among our clients! In addition to that, we arrange Mandarin private tutoring classes for those who need extra lessons. Basically, the idea is to vary your Chinese course in China and include many more cultural options to enhance your understand about China. Historical places like Forbidden City, Tiananmen Square, Ming Tombs, The Great Wall, Lama Temple, Drum Tower, etc. Recreational areas such as Hutongs, Beihai Park, Hou Hai Lakeside, etc. Contemporary sights: CCTV tower, Bird's Nest & Olympic area, Botanical Garden, etc. or any participants willing to do some volunteer work during their stay in China, Go Abroad China is happy to arrange this, especially since as an organization, this is also part of our charity work section. Normally we organize for our clients to teach basic English at a poor school for migrant workers' children. There is something quite extraordinary about helping those in need and putting a smile on somebody's face. The reason we choose migrant children schools is because their conditions are very poor, lack funds and material as some of these schools do not qualify for government aid. These experiences start out small but by the time our participants return home, they are left with a heart-warming feeling and get changed by the experience. To ensure a professional and complete experience in China, we like to encourage our clients to meet with other fellow participants and attend business and networking events. We try to connect our interns with different chambers of commerce so they can attend some of their networking events. One of the most important types of networking sessions involves our participants mingling with successful and knowledgeable people from the Chinese business community. This is a chance for our Go Abroad China program participants to learn useful information regarding the Chinese business culture, as well as build a business network. For those doing business internships in China, this will be a valuable opportunity and a great way to spend a weekend evening. We also encourage our participants to attend any other events/dinners that are organized by the companies that they intern at. This is a chance for the participants to interact with other employees outside of the usual office atmosphere. This truly helps to strengthen relations in the workplace! We believe networking is an important aspect to learn about if you want further career advancement opportunities! It is never too late to start attending networking events! For those taking a Mandarin language course, it is perfectly acceptable to attend such events as you to can observe how career oriented people get together in China. Go Abroad China’s business networking events and seminars allow you to grow your global network while hearing from top CEO’s, entrepreneurs and other business professionals about their professional journey and career highlights. You’ll get to meet influential business people and hear their stories about how their career developed after university. You will also get the opportunity to attend regular networking events organized both by us and other business organizations such as the local Chamber of Commerce. Our networking events and seminars give you the opportunity to meet fellow interns, local and international business people and grow your connections. The seminar series will allow you gain insights from successful business people and apply these within your career. Be inspired by what others have achieved, and know that you can achieve great things too! Go Abroad China welcomes back all former program participants to form our alumni network. We hope that experiencing China with us has been one of the most memorable trips abroad for you. To encourage all former clients to keep engaged in Go Abroad China’s news, activities or events through numerous social media platforms and outlets. To help our alumni keep in touch with each other, create new contacts and continue friendships that began in China. To share any career development opportunities, job prospects from our partner companies, career trends etc. To continue meaningful conversations about career paths, education plans and much more! For any more questions, please feel free to contact us at [email protected]. Go Abroad China provide all the necessary documents and information needed in order for you to obtain a Chinese visa. Moreover, we will send you by email a detailed pre-departure hand-guide in order for you to prepare your departure for your study abroad in China or Intern abroad China programs. Go Abroad China arrange a reception dinner to officially welcome you and introduce you to local Chinese dishes. We also organize an orientation session during the first early days so you can learn about the city you are living in, your new living area and its surroundings. Our staff will make sure you know where to find the banks, the nearest supermarkets, the metro stations, etc. Go Abroad China staff is multi-lingual; they will help with all emergencies and any other needs or problems that may arise during your stay in China. Upon your arrival, you will be given a phone number you can call 24/7 in case you need some advises or support. We want you to have a safe and amazing experience in China! Go Abroad China is here to make your transition away from home as smooth as possible. Go Abroad China’s Welcome Package Includes: SIM card (already loaded with credit, 100RMB), transportation card with credit (20 RMB for the credit (refundable) and 80 RMB for your first week’s transportation fees ) and welcome dinner. All the “Advice”, Service Components list and other handy information will also be shared. * Please note the Welcome Package from GoAbroadChina is updated constantly as we work to ensure the information provided is helpful and relevant all the time. Upon your arrival in China, there will be a Go Abroad China Program Coordinator at the airport that will pick you up and take you directly to your accommodation. * Please kindly note that an extra charge of US $100 will be required if you land in China between 8 PM and 9AM. If you are joining Go Abroad China internship program for more than 2 months, we can assist you in finding a part-time job to make extra money. 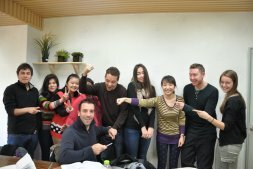 Our team will be glad to help you find a part-time English teaching job if you wish so. We understand the challenges you might encounter when arriving in China so that is why we offer help to our interns when it comes for them to open a bank account, recharge their cell phone, send/receive packages, extend their visa (by providing all necessary documentation), etc. From past experiences, at the end of our programs, we have realized that our candidates sometimes get overwhelmed with preparation and last minute things. To lessen the pressure, we help with closing any bank or mobile accounts, shipping additional luggage back to your country, etc. Upon successful completion of the internship program, you will receive a certificate that will attest your experience as an intern in China. Once you have an idea about where, when and for how long you want to learn Chinese in China, complete our online application form to get the ball rolling. To make sure we know what you want from your Chinese learning experience – why you want to study abroad, what you want to achieve, where and for how long you’d like to stay – we’ll organize a 15 minute Skype interview with you. From this, we can make sure we tailor the right Learn Chinese Package for you. We’ll also know if this is the right program for you. Within two to three days after the interview, the coordinator will be in touch by email to let you know if your application has been successful. If so, we’ll send you a formal offer. To confirm your placement in our program, you’ll need to reply to our letter of offer and pay your agreed deposit. Once this has been done, we’ll send you all the documents you need: your contract and all the required documents for your study visa application as well as your pre-departure package. The pre-departure package contains all the information you’ll need regarding your trip including where you’ll stay. Once your flights have been booked, let us know your arrival details (date and time, flight number) so that we can organize airport pick-up. We’ll be excited to welcome you to our program in person! Our support doesn’t end when you arrive. We are as dedicated to ensuring you have around the clock support for the duration of your stay as we do in getting you here. Your journey will include your paid internship, accommodation, language courses, cultural experiences, tours, and networking. See our FAQs or contact our friendly team for more information. What are you waiting for? Apply online now! Learn Chinese the fastest way in an immersive and culturally rich experience which will fast track your learning experience. Have all your needs taken care of and broaden your horizons, be more independent and make friends for life! We want everyone to have the chance to live and study in China; to make this possible we have a range of financial options available to support students who cannot afford full fees. Contact us today to discuss promotions, full and partial sponsorship opportunities. Our prices start from US$1,980, depending on your service components, accommodation and length of stay.